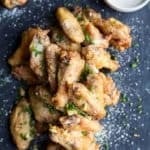 CRISPY GARLIC PARMESAN CHICKEN WINGS – baked instead of fried but these classic chicken wings are still as crispy and delicious as ever! 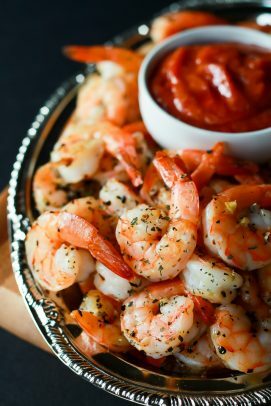 The perfect party appetizer or game day treat! 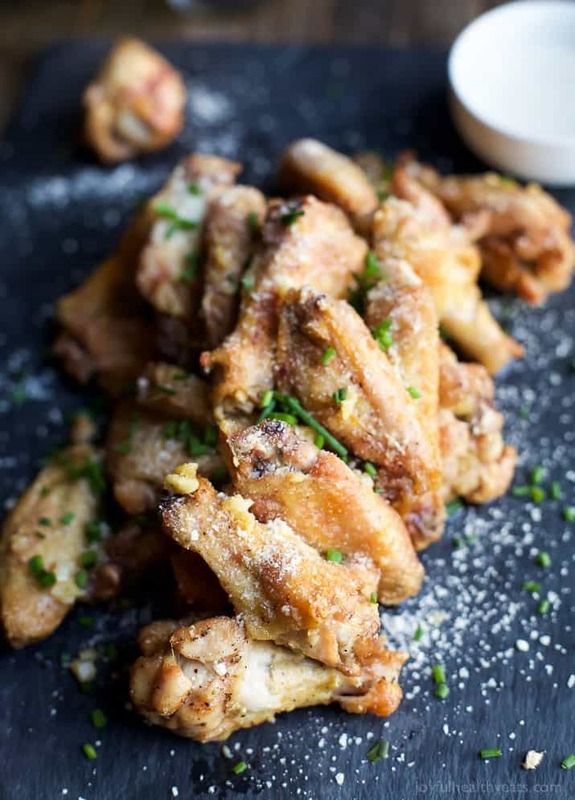 CRISPY GARLIC PARMESAN CHICKEN WINGS – baked instead of fried but these classic chicken wings are still as crispy and delicious as ever and loaded with a mouthwatering garlic parmesan sauce! I hope everyone had an memorable Christmas with friends and family! I’m not sure what traditions you guys have. But for Christmas my family usually celebrates on Christmas Eve. We go to Christmas Eve service together, and this year Mike and I were angels in a Live Nativity scene (animals included). After service we usually have dinner together, open gifts and indulge on some cookies. Christmas Day we wake up to little man jumping on our bed and wanting to see what presents Santa has for him. We rush out in our PJ’s and he tears through the wrapping paper. After he opens his gifts we make Crepes and then the rest of the day is for relaxing, playing with our toys, enjoying family, and watching movies. It’s so much fun. I love being able to make our OWN traditions! It’s something to look forward to every year! Any traditions, or do you just kinda do your own thing? So, on another note, I have a secret to tell you. Well … maybe it’s not a secret because I have told you once or twice before on here. 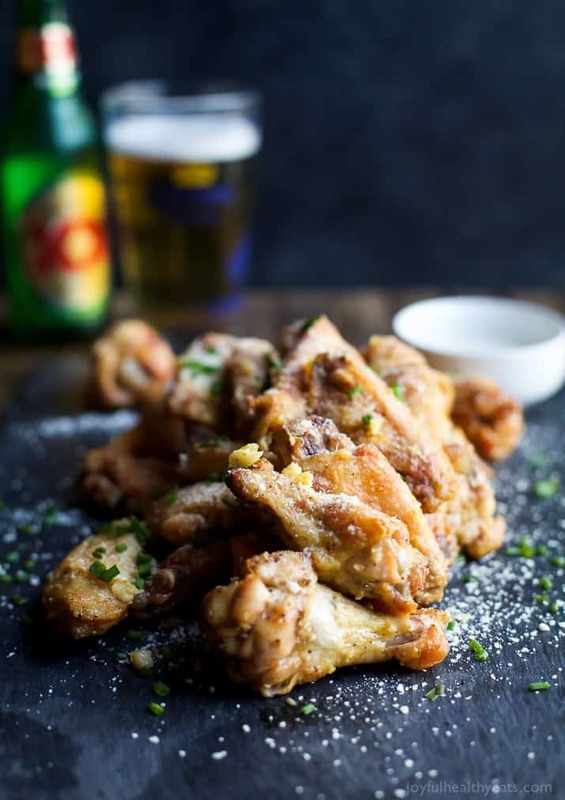 The secret is, I kinda have a love affair with Chicken Wings. 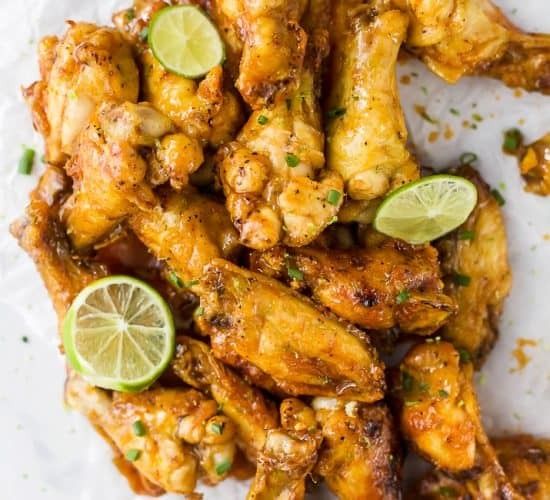 Just like these Garlic Parmesan Chicken Wings! Usually when Mike and I get wings for dinner we call out and pick it up. But after trying to replicate my favorite wings from Wings & More, I might just start making them at home. These may just be the BEST Wings I’ve made so far! And I’ve made quite a few, including an Asian Wing with a Raspberry Hoisin Glaze. After many tries, I think I have the key to making crispy wings without frying them. What is it? Putting them under the Broiler after they’ve baked for a while! Ya’ll, they turn out perfectly brown and crispy and the inside is still moist and tender! It’s seriously amazing! But the best part of these Wings is the sauce! 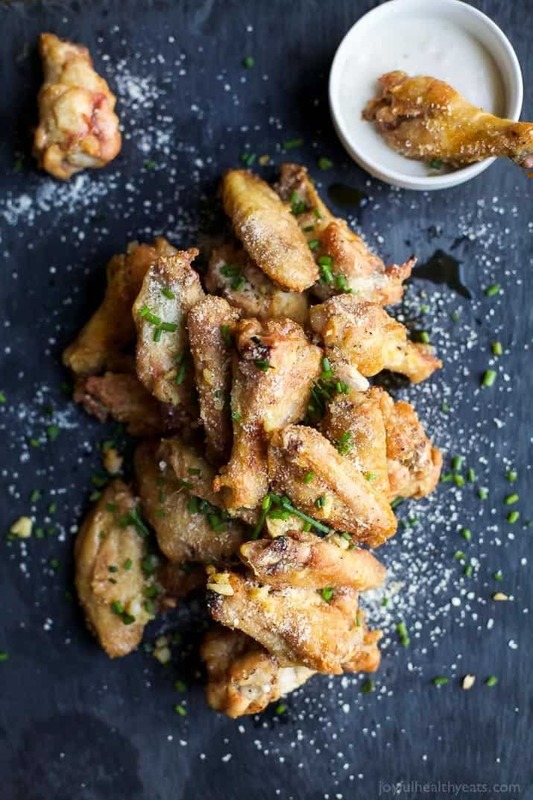 It’s light, easy to make, filled with garlic flavor and the coats these crispy wings perfectly! Believe me .. you’ll be in Chicken Wing heaven with these bad boys in your hands. 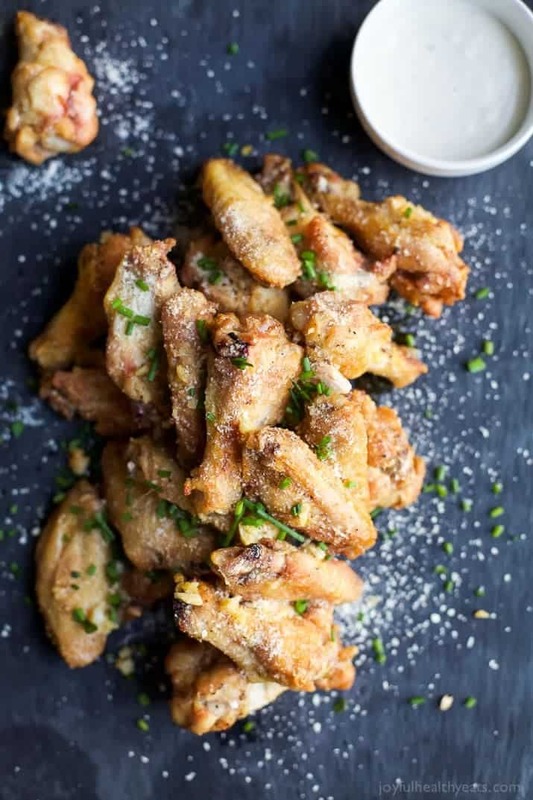 These Garlic Parmesan Chicken Wings would be great for your next party … ahem New Years Eve. I mean who wouldn’t want to have a garlic breathe kiss when the ball drops. That is TRUE love! They would definitely be PERFECT for your Super Bowl Party! 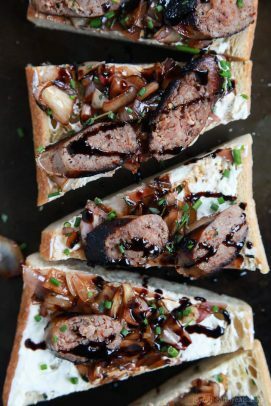 Either way these need to be on some party menu because they are going to be a party FAVORITE! There’s no shame in your “finger licking” game after trying these … in fact … it’s encouraged! NonStick Baking Sheet – baking sheets are a must for this recipe but make sure to cover them with parchment paper too so you don’t end up with a mess! 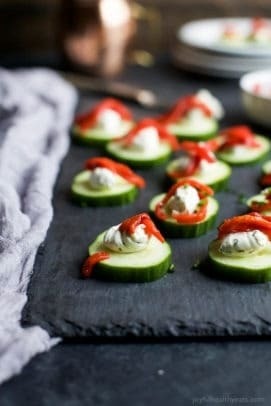 Want More New Years Eve Party Appetizers? Who couldn’t be in love with chicken wings? These sound AMAZING! I know right! Wings are awesome! Especially on game days! 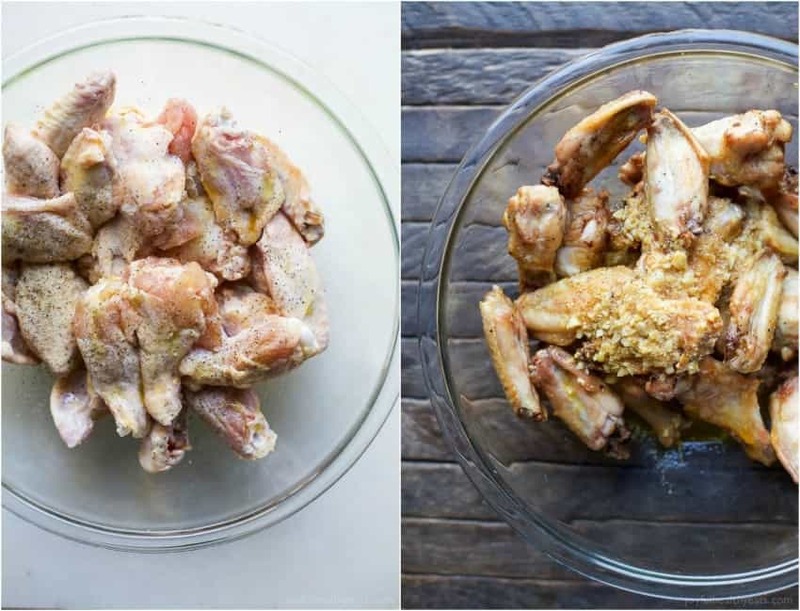 Can I bake the wings for the 40 min, and then toss them in the sauce before they’re broiled? I was thinking that this would infuse the wings with more flavor. And of course add more sauce at the end. YUM! These wings sound absolutely incredible. I love that you baked them instead of frying, and I can imagine these would fly off the table at a gameday party. Looks like I’ll be making some this coming weekend for our team’s bowl game! ohhh they do! Believe me! Oh girl! They are! Believe me, you’ll be licking your fingers when you’re done! 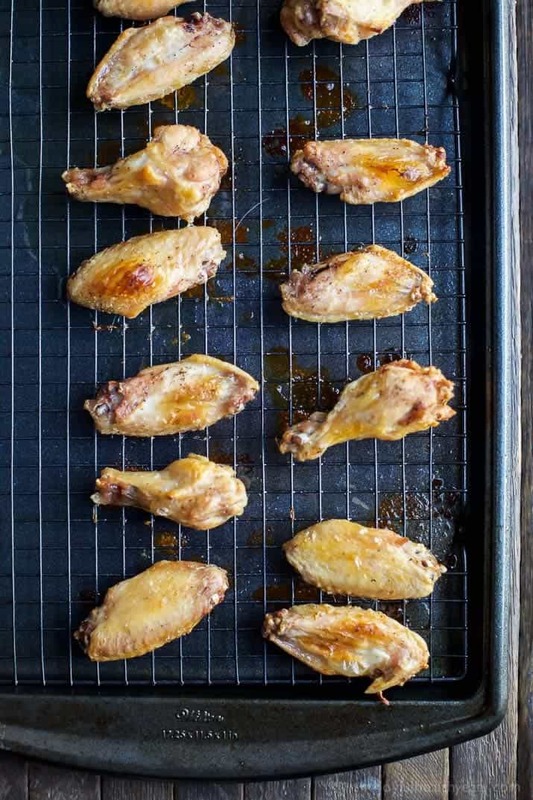 Are the wings still frozen when you bake them? 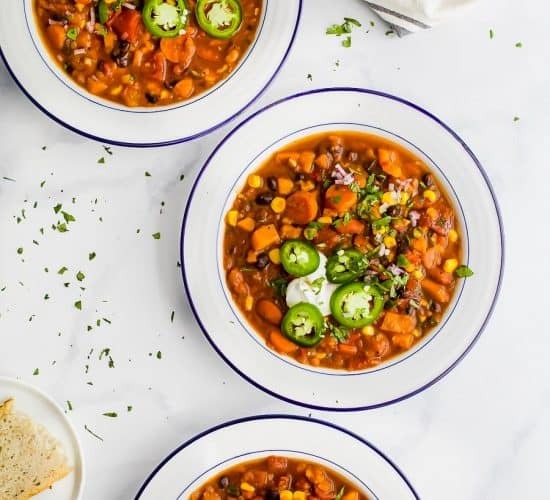 Just got done making this recipe and I must say this is delicious! haha.. I almost did. It’s perfect during football season with a cold beer! Okay Krista! We made these over New Years! They were so freaking good! I wanted more when they were gone! Good think I have another pack of wings in my freezer! WAHOO! I prefer to have things baked than fried. These look delicious, will definitely have to try. Thanks for sharing! Me too! And they are normally just as good. hope you enjoy this recipe Laurie! These sound really yummy! gonna give this recipe ago thanks for sharing. Do you use fresh grated Parmesan cheese? Made the crispy baked garlic parmesan chicken today and won’t be the last. They were so good! Making these tonight for the third time they are yummy! My family loves them. Awesome Mercedes! So pumped that you it’s a new family favorite! 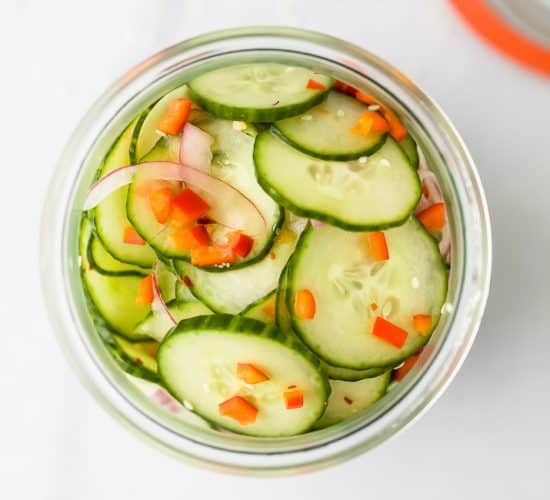 Hi these look delicious, I’m going to make for New Year’s Eve, what kind of dipping sauce do you recommend ? 50 Family Friendly Super Bowl Recipes! Krista these wings were so DELICIOUS! My picky 2 and 4 year old girls devoured these wings. As a mom of picky eaters, you can only imagine how happy I get when they enjoy and finish their meals. 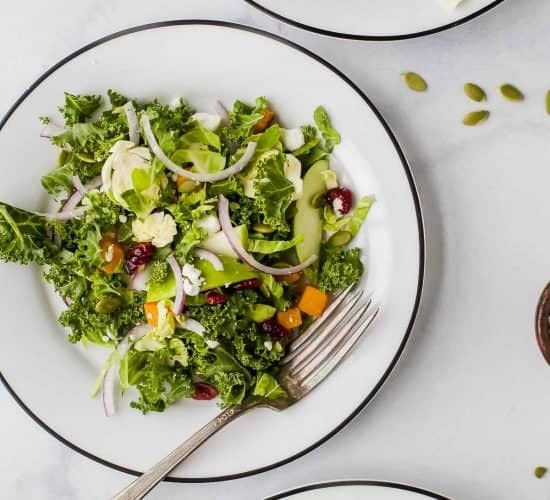 This recipe will be a staple in our home from now on. Thank you so much for this recipe! This is my first time baking chicken wings. Do you mean set the over to Broil or put it in an actual broiler? Made these last night for dinner. Came out perfect and so easy to do!